Quite a few coupes sold in the last past week, but there are still many available. If you’re a buyer, it’s a great time to be in the market as there is a lot of selection. I still think many of the S54 coupes are pretty overpriced. You need a unique color combination or <25,000 miles to fetch over $30,000 these days. 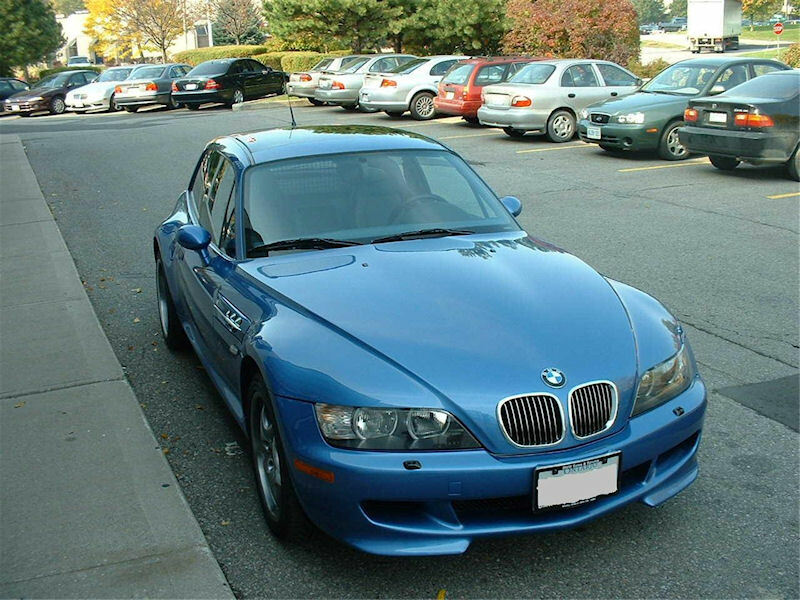 Last week, I came across this 2001 Estoril Blue M Coupe in Richmond Hill, ON, Canada that besides its great condition and very low mileage did not appear otherwise significant. 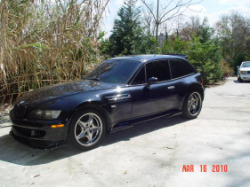 The seller makes mention that this particular car is one of twelve pre-production S54 coupes. I had never heard of such a thing and decided to see what I could find out. 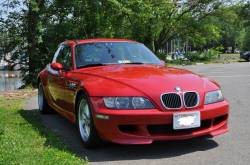 After some research and consulting with a couple resident coupe experts Z3Couper and JoshS, we determined that there were indeed twelve S54-engined coupes produced in 2000 starting as early as March 16, 2000. Here’s how we came to this conclusion. JoshS remember reading a Roadfly posting about a similar car years ago and even more amazingly was able to find it again. 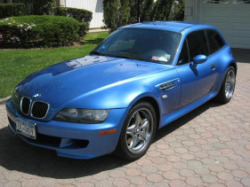 This Roadfly posting details the purchase of LK60000: a Laguna Seca Blue over Laguna Seca Blue M Coupe with an S54 engined built on April 12, 2000. There’s a little more information about it in this Roadfly posting as well. While it has the lowest VIN number of all S54s, it appears that both LK60001 and LK60002 were produced before it in March of 2000, and LK60003 was produced two days prior on April 10, 2000. 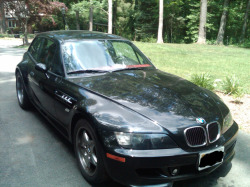 The buyer goes on to say on the CarFax report it says it was first imported into New Jersey on January 2, 2003. 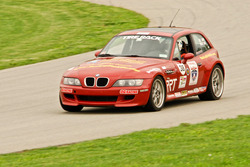 The buyer thinks the car may have been sent to Germany to shake down as a pre-production unit. We’re speculating it may have always been in the U.S., but because the factory is a foreign trade zone, in order to make it sell-able, it required some special paperwork to have it “imported”. New Jersey happens to be where BMW NA is based. 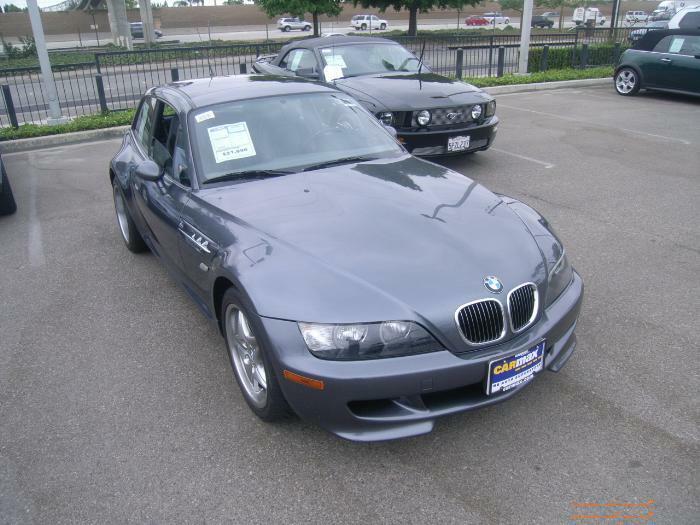 The buyer mentions it had never been titled before despite being almost 3 year old, so it appears that some of these cars (maybe all) were sold as CPOs directly by BMW NA once they were finished with them. First, they were all built before the restart of coupe production on February 12, 2001 after a 5 month hiatus between S52 and S54 models. It’s absolutely confirmed that 2 of them have S54s and are considered 2001 model year cars, and they all have model year 2001 VINs ending in 1LK60xxx. 7 of the 12 have paint colors only available in S54 cars yet are not marked as special orders like the S52 coupe in steel gray for example. The only 2 coupes with Kiwi interior are in the list. Perhaps this was a color they were considering offering then changed their mind. 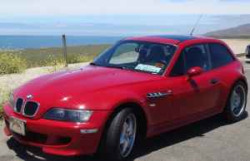 The list includes 2 of the 23 steel gray over imola red coupes I would love to have one of. 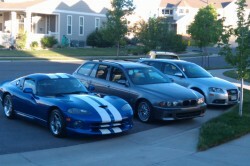 The list includes the only Laguna Seca Blue over Dark Beige Oregon coupe. LK60004 appears to have (as far as I can tell from the photos) all the S54 coupe upgrades as outlined in my article “Year Makes All the Difference“, but it is unknown if any of the other cars were fully upgraded or have some combination of available options (or potentially never publicly available options). There’s a mention of LK60000 perhaps not having chrome shadow wheels, having flat rather than the later curved badges, black rather than chrome trimmed rear-view mirror, and relocation of the AC and recirclating switches. I guess there really is always something new to learn. If you own any of these cars, I would love to hear what you know about their history and any interesting trim pieces or options. Finally, if you’d like to own one of these very special cars, details of the car pictured above can be found here. Update: I’m starting a list of the cars that I can confirm made it to the public. Let me now of any others you know about. 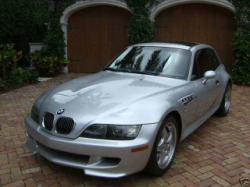 There are more M Coupes for sale right now than I ever thought I would see at any one time. If you’re a buyer, it’s a great time to be in the market as there is a lot of selection. As a seller, you may need to consider adjusting your price or do something else to make your car stand out from the large crowd. 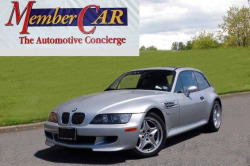 Coupe buyers seem to be unwilling to pay the $10k premium for S54 cars any longer and most of the cars priced over $30k have not had much success in recent months. These are what I think are the best deals still available that are not already on the most popular list. 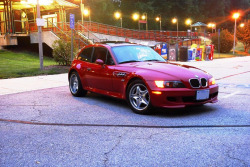 If you’re looking for a well priced imola red M Coupe, head to Washington, DC. 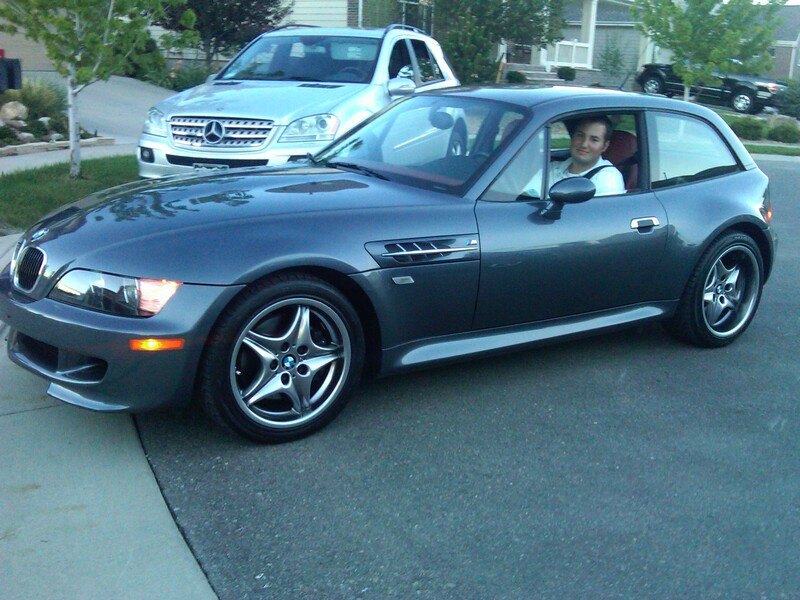 Pictured above is the first coupe I ever actually tried to buy in my 5 years of searching (click here for more photos). My 5 week-old daughter woke me up at 5:30 this morning, and I decided to drag myself out of bed. Before starting work, I did my morning nationwide M Coupe search and this car came up at a CarMax near Los Angeles. I immediately called them knowing they obviously would not be open at 4:30 AM local time, but deals like this on a car I want, do not come up often and I wanted to get my name in first. I left a message on my first call, sent an email through their website, then proceeded to call every 15 minutes to half hour until the store closer to me in Colorado Springs opened at 9 AM. I had never dealt with CarMax before as the Colorado Springs store is 2+ hours away, and I honestly didn’t know it was even there. I primarily just had questions about their inspection, warranty, etc. and didn’t want to wait until the California store opened to ask them. After all, I had already been staring at the photos, looking for flights, planning my route home, and not getting any work done for 3.5 hours. The guy I talked to informed me about CarMax’s ability to do transfers between stores because CarMax is not franchised but has one parent company. He also enlightened me to the fact that if you purchase a car from a dealer in California, you pay sales tax to California whether or not you’re going to register it there. In essence, you would be paying sales tax twice. He said the transfer fee would be far less than paying California sales tax (not true, see comments below). Now that I was convinced I should have it transferred rather than flying out to get it, he put in the transfer request which was then immediately rejected because the car was non-transferable. CarMax did not have the title in hand yet, and Colorado consumer protection laws won’t let dealers sell you a car without a title. He said to wait until the dealer selling it opened and talk to them directly if I was willing to fly out and buy it in person. I continued to try the California dealer’s number every 15 minutes until someone finally picked up. Somehow the salesman I talked to (who said he was one of 50 there), had already had 2 calls on it before me. One of which was from Cincinnati who I immediately knew was Enthusiast Auto. I told him I had cash and could fly out tomorrow to come get it. He started to put in my order but said someone had already put in a transfer request to Ohio. I told him I had tried to do the same thing a while earlier but was told it was non-transferable. He said it shouldn’t be able to be transferred and would talk to their business department and tell them he had a cash buyer. He also said that his particular CarMax didn’t sell to dealers which gave me a little hope. 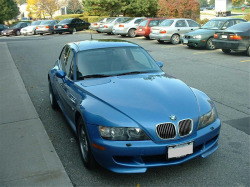 After quite a bit of back and forth and a call to the business department directly, I learned that Ohio allows transfers without title, the Cincinnati dealer opened 2 hours before mine and his formal transfer request was slightly before mine, they do “sometimes” sell to other dealers, and the car was sold. Sometimes you can be prepared, get an early start, do everything you can do, and still not be able to get the car you want. CarMax sales people are very helpful and informative (although not completely truthful) when they have a car they think they can sell to you but lose interest quickly. CarMax does not know how to handle cars that generate nationwide interest. It’s not the time you first call or email, but when you actually get a hold of someone and put in a formal request to buy a car that matters. Consumer protection laws sometimes only protect you from the car you’ve been seeking for years. 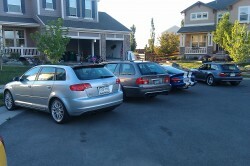 CarMax buyers on the East Coast have a large advantage when looking for cars on the West Coast. I’m not sure if in the future I can call an Eastern time zone dealer and put in a transfer request then have the transfer request switched to my dealer later? I have a feeling I’ll never have another opportunity to find out. 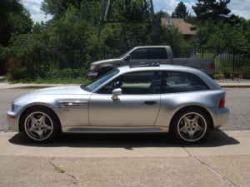 Steel gray over gray at the right price, can make me compromise on my search for steel gray/imola. I’m not sure any other color combination could, and I don’t see a deal like this ever happening again. The problem with starting with perfection is that it’s hard to settle for anything less. That’s the problem I’ve run into. 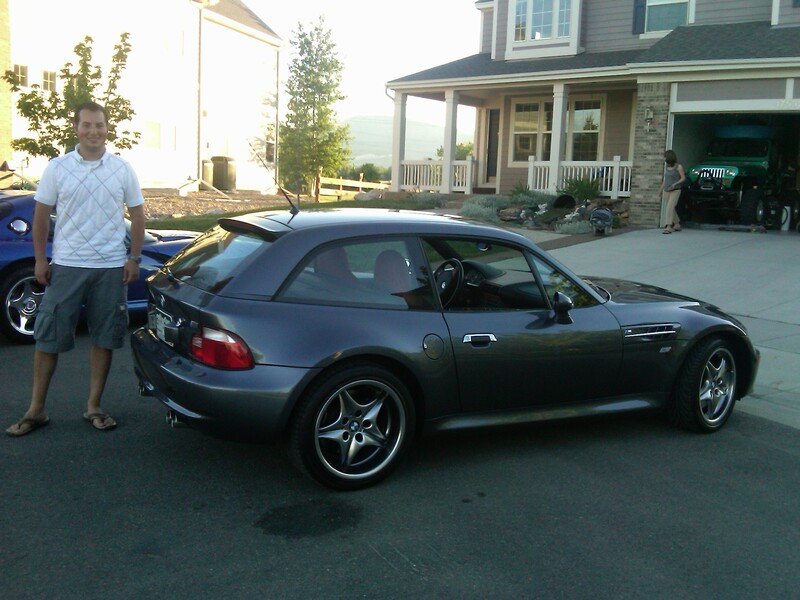 Last Sunday, my wife and I went to her cousin’s graduation party in Denver, CO. We were only a few miles north or where “My Perfect M Coupe” lives, so I contacted the owner Glenn to see if we could swing by so my wife could see it (and I could see it again). 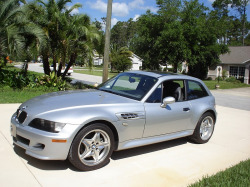 My wife had never seen a steel gray M Coupe in person before and photos just do not do it justice (but that’s a whole other article). I felt I had to justify to her why I stare at photos of it all day. Glenn was gracious enough to oblige, so we headed over to his house. The coupe is usually in the back of his tandem garage covered and surrounded by Styrofoam panels. Needless to say we had to move a lot of stuff (including his beautiful 1996 Viper GTS) to get to it. He pulled it out of the garage to let us look it over in the sunlight. We oohed, aahed and took photos for a while until his wife got back and could watch their daughter. He then took me for a ride in the foothills behind his house. After a great ride he very unexpectedly pulled over and called a “Chinese fire drill”. I have to say it was probably the most exciting car moment of my life. Believe it or not, I had never actually driven an M Coupe before despite having this entire website devoted to them. 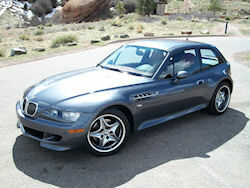 I had driven a Z3 Coupe 3.0, an S52 M Roadster and an S54 M3. 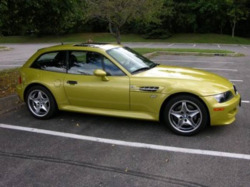 I had just assumed an S54 M Coupe would be the perfect combination of the three, and I wasn’t disappointed. He said I was the only other person to drive it since he got it which made me feel especially honored. 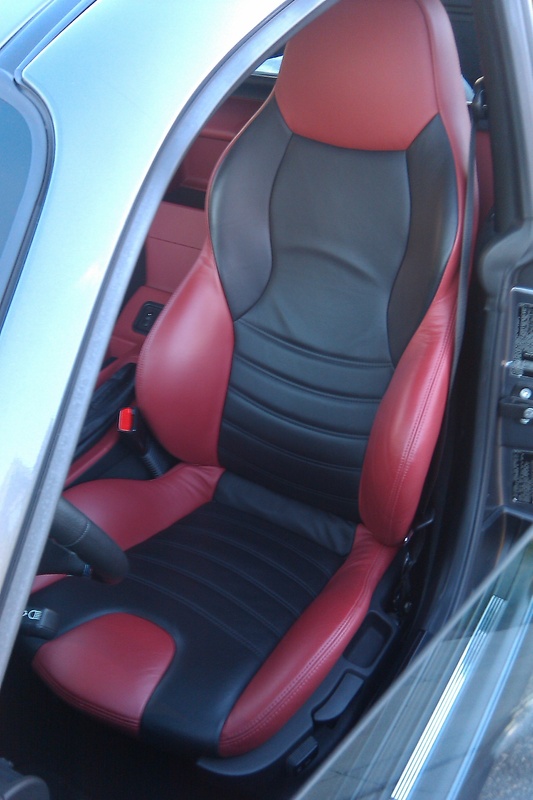 When we were leaving, my two year-old son went over to the coupe and called it “Daddys”; I’ve never been so proud. 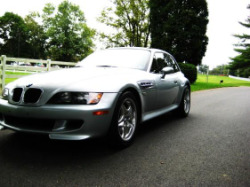 Before that day I had been semi-considering compromising my long search for steel gray/imola and pursuing one of the other coupes currently listed. There are a lot of choices and some very good deals on great cars right now. 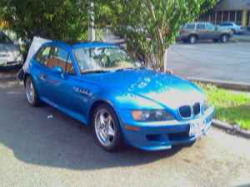 Seeing his car again, and then driving it, has ruined me for all other coupes. 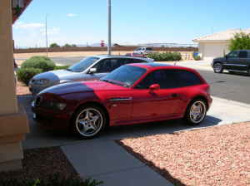 It only reaffirmed my dream color combination, and convinced me to do what I can to try to make this special car mine. Thank you Glenn! And a special thank you to my wife for being willing to keep our 2 year-old and 4 week-old up late, so I could live out a dream. Here are the cars that appear to have gone to lucky new owners this week. The first car was only on the market 5 days; the second for almost as long as I can remember.